Ellen. At JCPenney, we couldn't think of a better partner to help us put the fun back into the retail experience." http:// Explore Talent, a premier online social-network for talented individuals in the entertainment industry, announced a new blog on their news site today, titled, ""One Million Moms" Drops Anti-Gay Campaign Against JC Penney and Ellen DeGeneres?" The blog, (http://news.exploretalent.com/one-million-mom-drops-anti-gay-campaign-against-jc-penney-and-ellen-degeneres/) details that today, another step towards acceptance and equality has been taken. "One Million Moms," an openly anti-gay group of Christian mothers, dropped the campaign they had recently started when retail giant JC Penney hired the openly-gay talk-show host, Ellen DeGeneres, as their spokesperson. Upon hearing this information, "One Million Moms" was furious, and urged all their supporters to stop shopping at JC Penney. They tried to persuade the company to "correct their mistake fast to retain loyal customers and not turn away potential new, conservative shoppers." JC Penney, however, refused to budge, and stood behind their chosen spokesperson. 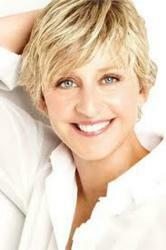 President Michael Francis stated, "We share the same fundamental values as Ellen. At JCPenney, we couldn't think of a better partner to help us put the fun back into the retail experience." Today, "One Million Moms" announced that they are dropping their campaign to focus on other issues.